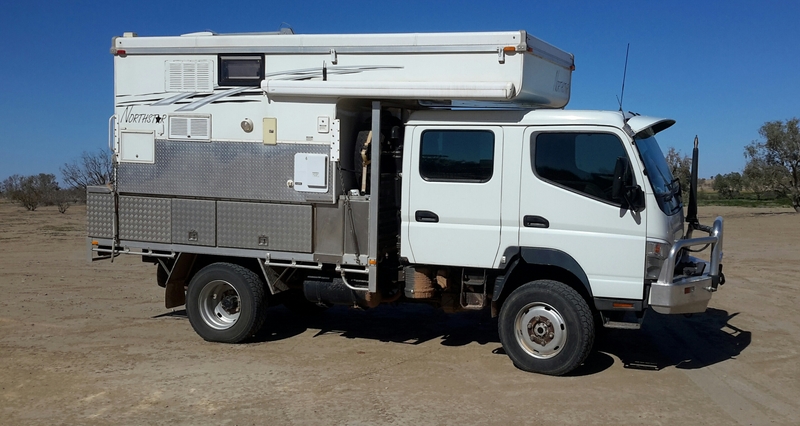 Fuso Canter 3 ton 2010 model 4.9 Litre Turbo Diesel Dual Cab 4x4 HiLo Ratios 5 speed Manual 116000k GVM 6 ton Hill Start Assist Exhaust Brake Tinted Windows Seats 7 Air Con VMS RadioNav,UHF Radio and HF Radio,Gun Safe 15000lb winch super single wheels, 500litres fuel (3 tanks),400litres water capacity, 2 solar panels, 2x120amp AGM Batt Air Comp ARB FFreezer, Sun visor, Aluminium Tray Lockable Storage Bins, Fishing Rod Container. 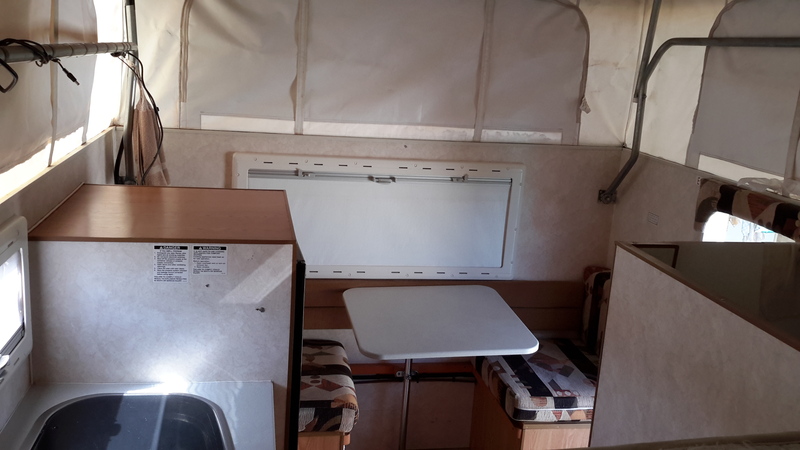 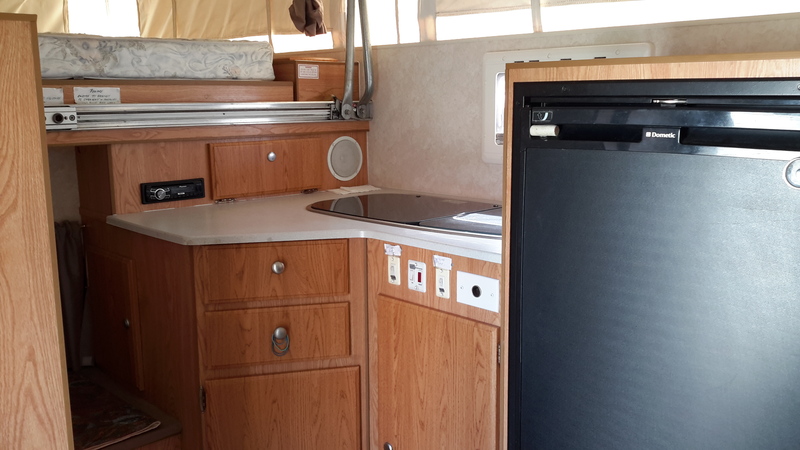 Northstar Trackmaster 9 Pop Top, IO Showers, Cassette Toilet,2 Awnings,TV, Radio,3 Burner Stove, 12v240v Dometic Fridge, Queen NS Bed, HWS, Inverter, 240v batt charger,40l Grey water tank. 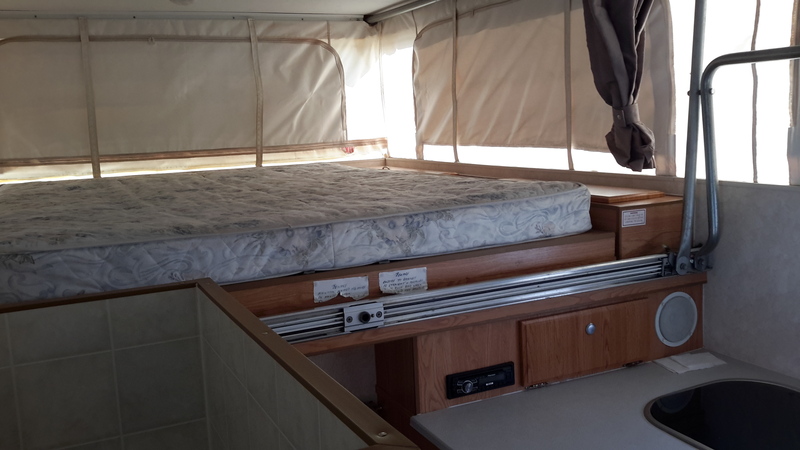 Vehicle used as Motorhome since new. 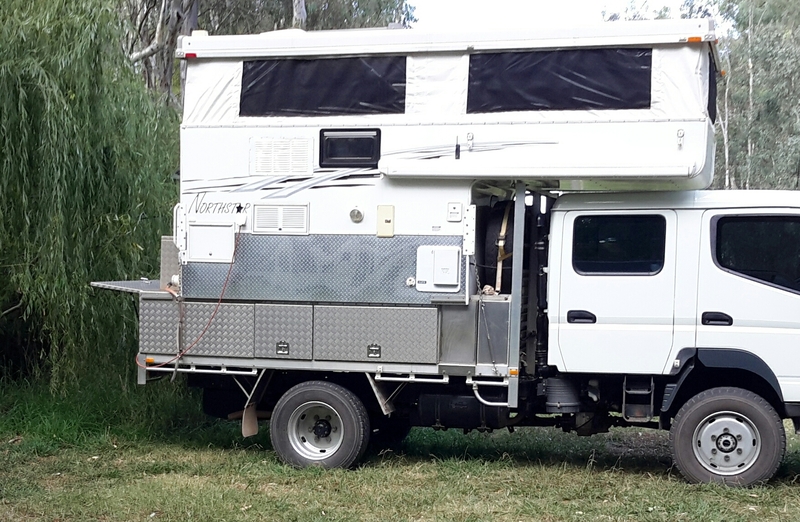 Are you interested in this vehicle? 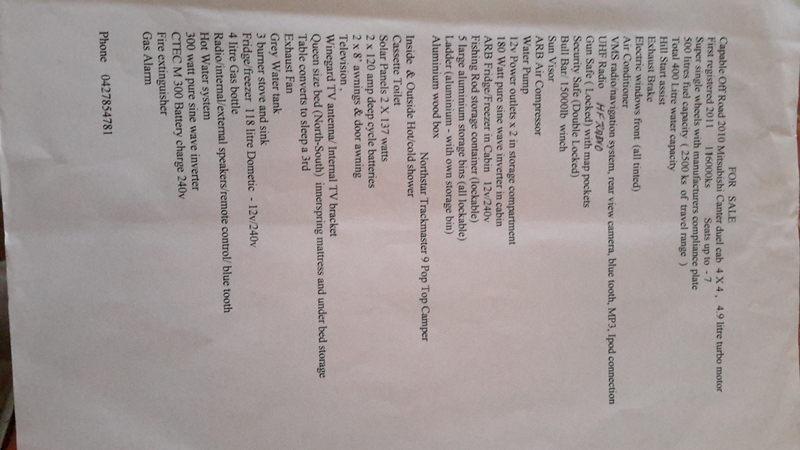 You can use the below form to send an enquiry to the advertising member, the information supplied will be emailed to the member and they will contact you. 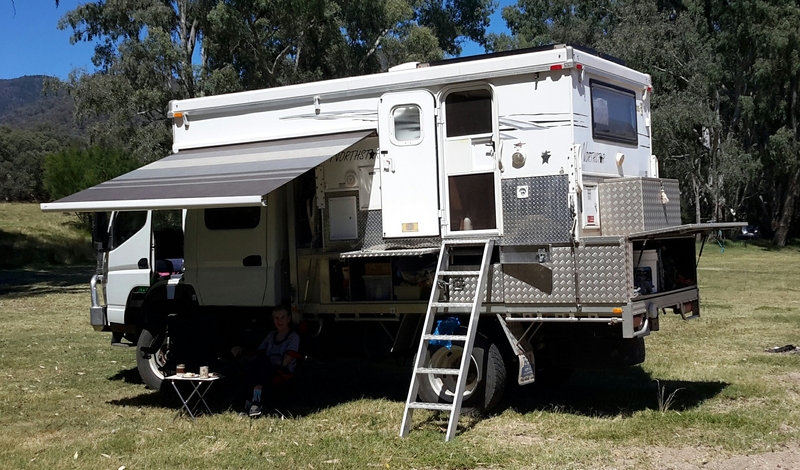 © 2016 Campervan & Motorhome Club of Australia Limited | All Rights Reserved.